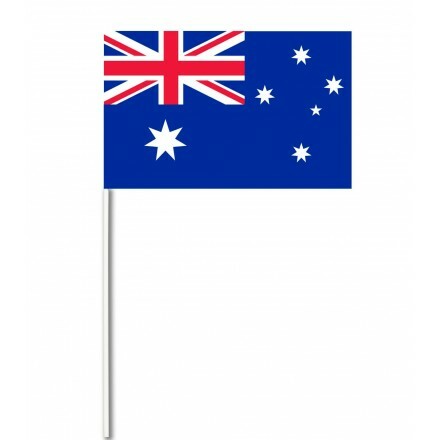 Deco Party UK offers some original Australian party decorations. 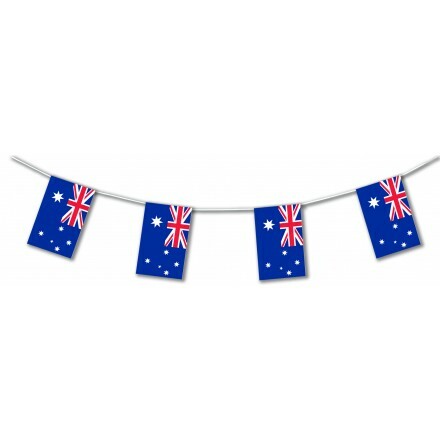 Perfect to celebrate an Australian themed party, private party or Australia Day, our great value Australian decorations are unique with their high quality and designs. Do you need any Australia Day party decoration ideas ? 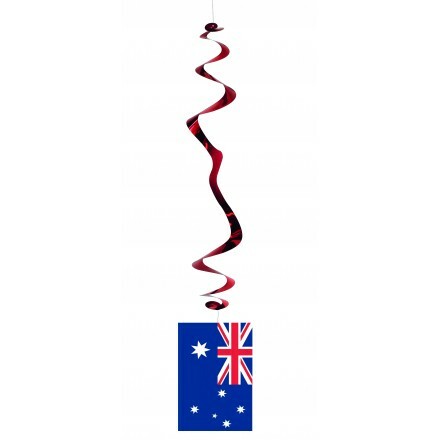 Buy online our happy Australia Day banner, hand held flags, table confetti, hanging swirls and cocktail sticks. 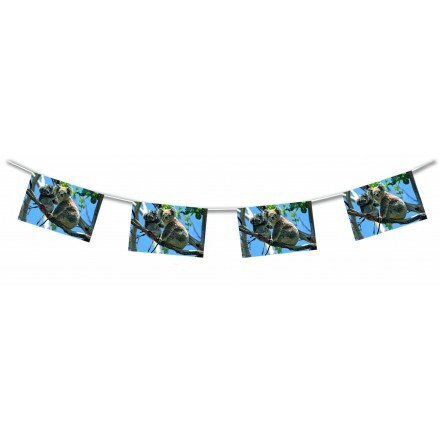 We have made Australian flag bunting in plastic material, suitable for indoor and outdoor use. You can buy either in 5m long or 10m long. We also can make other lengths, feel free to send your enquiry. Each rectangular flag measures 20 cm x 30 cm. Polythene is special treated to resist against UV and each flags are assemble onto a solid white thread to resist against wind. We don't have only Patriotic flag banner, we also created other party decorations Australia with our own designs. You can buy online a paper flagline with Australian countryside and kangaroo. You also can find a koala garland and even the national Australian sport, rugby bunting. Deco Party UK makes Australian small flag. 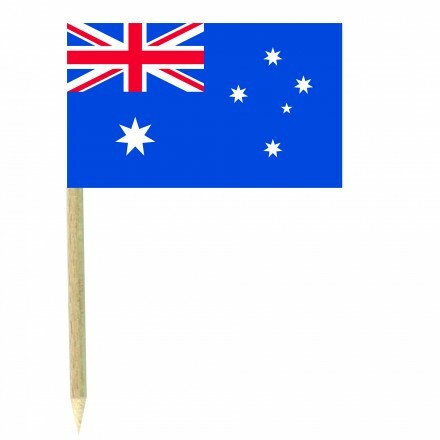 Our paper Australian hand-waving flags are packed per 100 flags. 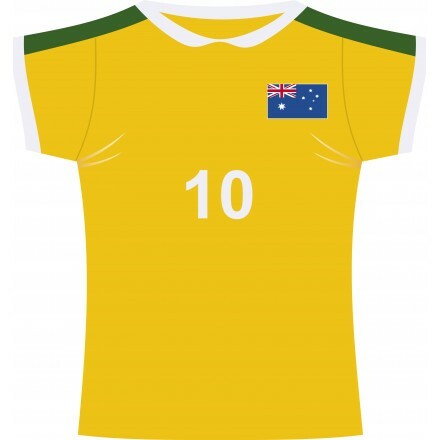 This is one of our best seller for Australian themed party supplies. Each paper flag is printed both sides, measures 14 cm x 21 cm and are sticked on a plastic stick 37 cm long. Great to wave or for table decoration. Sprinkle on the table our unique and original Australian flag confetti, circle shape, 25mm diameter, printed both sides. Top quality at very low price, each bags contain about 150 confetti. Do you want to buy cheap Australian decorations ? This is a great opportunity ! Australian flag colors are blue, white red. Deco Party UK created an original home decor Australia to give joy to your garden party, birthday or for every occasion. Pack of 6 Australian hanging swirls, about 80 cm long. You can hang from branches of trees or from the ceiling, this is a vertical decoration. Swirls are made in foil material and flags in paper. We manufacture top quality Australian cocktail picks. Ideal to jazz up your canapés, sandwiches, burgers, cakes and lunch. Pubs, night clubs, restaurants, bars or at home, all kind of customers use those wonderful australian party theme. Cocktail flags are packed by 50 pieces, food wood stick measures 7,5 cm long and flag measures 3 cm x 5 cm and is printed both sides. If you would like to buy in wholesale quantity or in bulk, feel free to contact us. If you are a wholesaler, retailer, party reseller or importer, please contact us directly and we will study best offer and pricing. 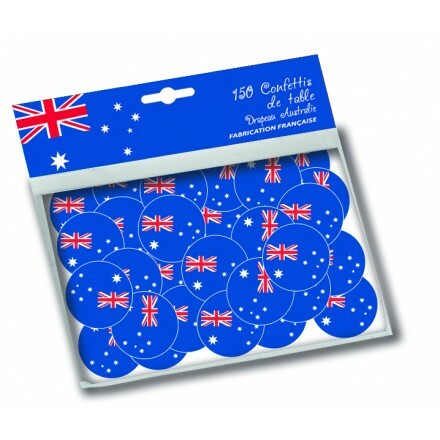 We also can make Australian bunting, hand flags, hanging swirls, confetti with your own label, packaging and designs. With our knowledge and automatic machines we created and invested we are able to supply very fast special Autralian Day Decorations.